BenQ has launched today the BenQ EL2870U, the first 4K UHD monitor with 1ms response time designed specifically for eye-care. The EL2870U displays High Dynamic Range for dazzling brightness with stark contrast for deep blacks and wide color range for intense video performance. Moreover, it also offers features dedicated to offer a premium 4K Gaming experience. The incredibly fast 1ms Gray-To-Gray (GTG) response time on the EL2870U ensures a much more responsive and fluent in-game experience than a traditional 4K Television, particularly noticeable in first person shooter games as stated by the company in its press statement. This monitor’s High Dynamic Range (HDR) and Cinema HDR Mode increase the overall dynamic range between true black and bright white to resemble what your eyes see in the natural world. To view HDR content, you are required to use the provided HDMI cable, a high speed HDMI cable, or premium high speed HDMI certified cable. The HDR function supports HDR 10 content. For Non-HDR content, users can also activate HDR mode. The EL2870U will provide emulated HDR performance for a better viewing experience. AMD FreeSync technology employed in it eliminates image tearing, broken frames, and choppy gameplay for incredibly fluid gaming. Furthermore, refresh rate brings out an ultra-smooth gaming experience on it. 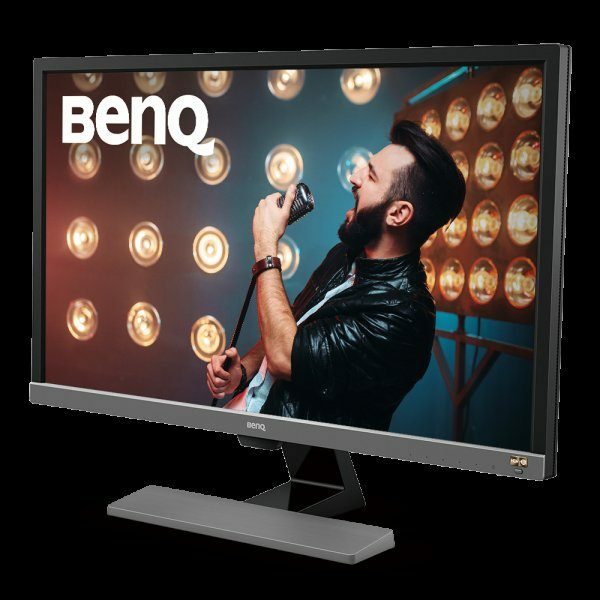 BenQ’s exclusive Brightness Intelligence Plus (B.I.+) technology in the EL2870U detects ambient brightness and color temperature to adjust display settings to deliver balanced brightness and color temperature to match the environment. B.I.+ technology effectively adjusts the brightness of the monitor to avoid overexposure and enhance details in dark areas. Furthermore, BenQ’s EL2870U is also equipped with exclusive eye-care technologies to reduce eye fatigue for user comfort, enhanced productivity, and workplace safety during extended use.